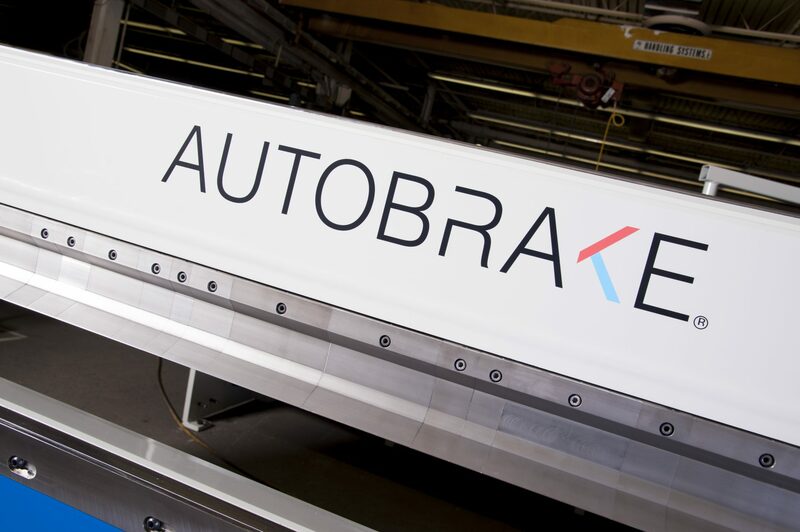 The AutoBrake® is the component fabricator’s choice for unparalleled ease-of-use, speed and accuracy. 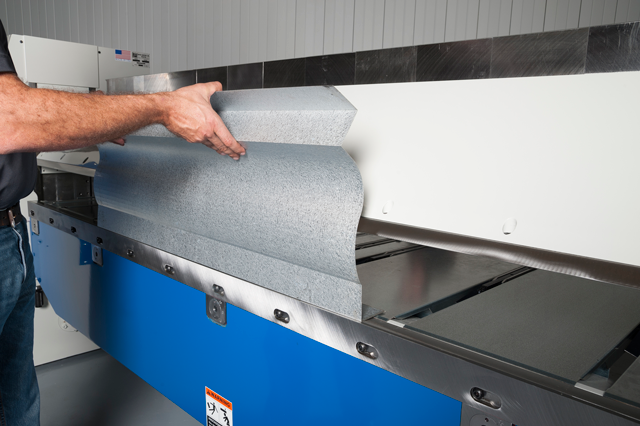 Powered by an advanced CNC control system, the AutoBrake sheet metal brake by Roper Whitney is capable of bending many types of materials and thicknesses with very little setup time and minimal tool changes. The Synergy Control System is second to none. It is a highly advanced, Windows-based ECS CNC system that takes the complexity out of programming and running parts. This metal brake is plate and weldment steel construction, delivering superior performance and features in a rigid design. Combining automated bending of angles up to 145 degree, material clamping and material support make the AutoBrake a powerful machine. The folding beam consists of a thick plate for maximum resistance to bending forces with a machined seat to receive the bending blade. With all of the benefits of the standard AutoBrake, the optional rotating Kombi beam, makes this machine even more impressive. 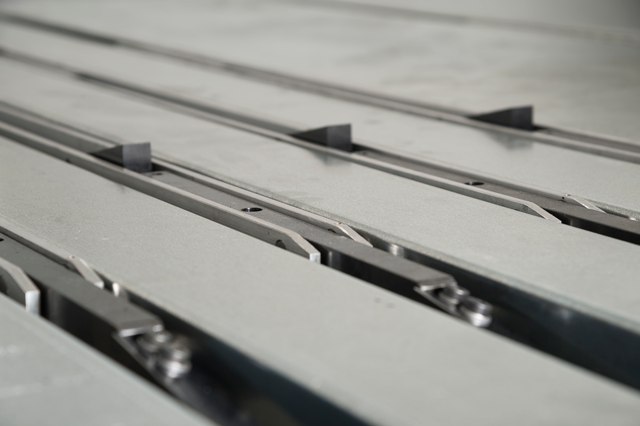 This unique tooling assembly adds to the machine’s straight and box folding capabilities to produce more complex shapes in less time. It handles a wide range of materials, easily closes hems and withstands the force generated by maximum capacity forming operations. Plate and weldment steel construction, delivering superior performance. Features a simplified rigid design. Clamping and hemming are programmed. Upper beam is driven to program settings on both ends by a brake motor and eccentric drive of the mean with a connecting shaft. Clamping and hemming power is delivered to the clamp jaws by a series of spring washers to provide variable clamping pressures with a shock-absorbing end stop. 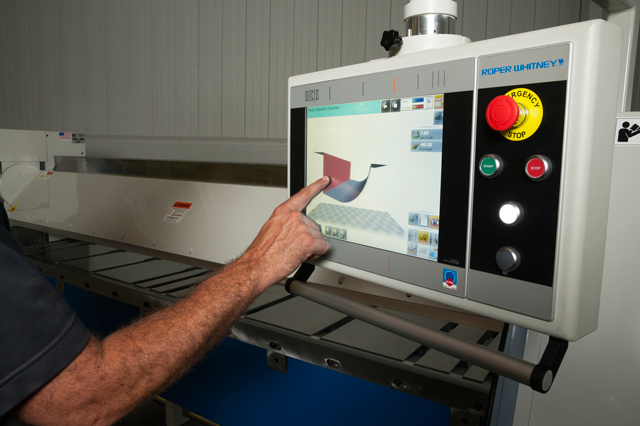 Synergy is the newest software designed for Roper Whitney’s line of powered folding machines. 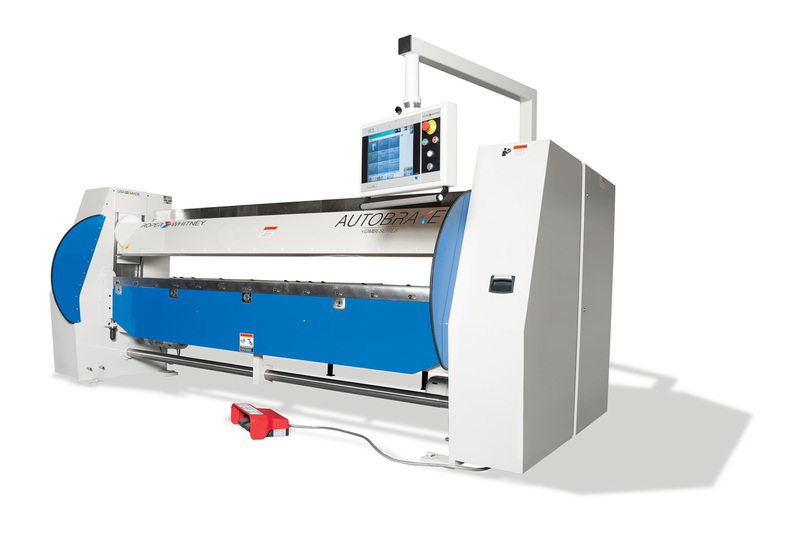 It is a highly advanced CNC system that takes the complexity out of programming and running parts. The full-color, graphical touch screen allows you to store, browse and search for parts, as well as create new parts on the fly. The software also brings together information from the office-based Konstruct program and the field-based Konstruct Mobile with Roper Whitney’s technical support program Konnect.